The draft guidance makes use of Twitter and platforms like Google Ads extremely unattractive, because the vast majority of the "real estate" must be given over to brand and generic names, indications for use, benefits, risks, and a link to fuller information about risks. Please take the time to watch the whole video if you are interested in this subject, and let's continue the conversation in the comments section or in another online forum. 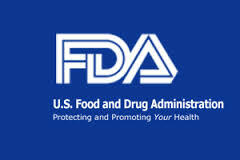 Interestingly, the FDA has already taken action based on its subregulatory draft interpretations of the statutes and regulations that are applicable in this arena. Specifically, it has sanctioned two companies – one, for branded use of Google Ad Words that did not comply with relevant requirements (the drug in question was being promoted as a cure for a condition, when in fact it has been approved only as a treatment for symptoms; the ad omitted risk information; the established name for the drug was not used; and the ad was not submitted to the FDA), and the other, for website, Twitter and Facebook claims about products sold over the counter that have never been subject to FDA review; and liking Facebook posts endorsing one or more of its products — which the FDA views as "misbranded" "new drugs" since the seller is making claims as to efficacy in treating certain conditions even though they had never been approved by the FDA.